There are currently 91,334 users on this website. It looks like it might have been pinned underneath one of the supports for the machine, being constantly rubbed against the floor for years as the dryer vibrated. Is there a washing machine next to the dryer? If so, it might have been under there, since washing machines tend to move more than dryers. 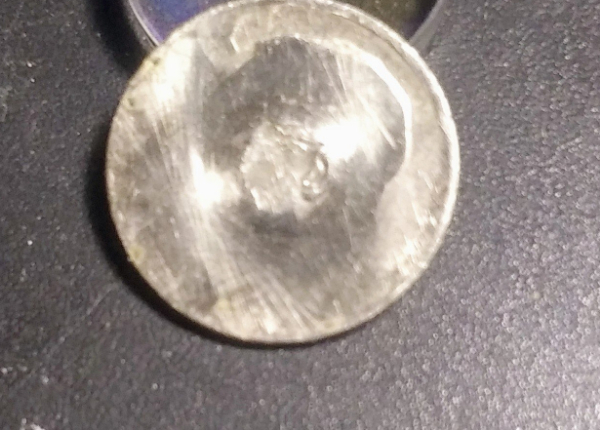 If the coin was stuck with the obverse against the floor, this might explain why only the obverse is obliterated. Welcome to the Forum. You've come to a phenomenal place to share and learn. Enjoy! it's PMD. 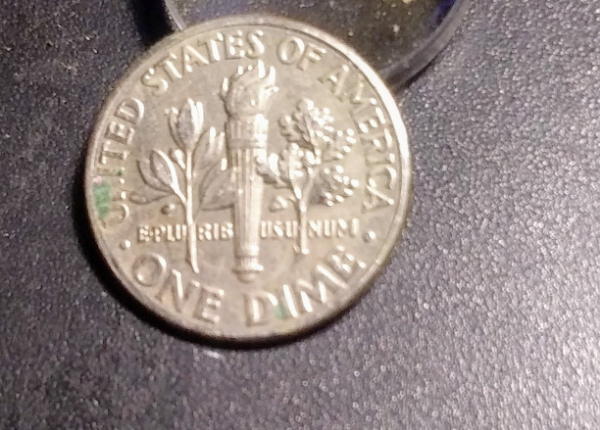 Perhaps the coin got caught in just the right place in the machine. Time and friction did the rest. What would this be worth....just dime value? It's basically a mutilated dime. Value 10 cents. Value 10 cents....only universally if you manage to avoid a picky cash register attendant. My new washing machine has several warning stickers about not allowing coins in the drum. This worries me big time considering how many things I accidentally wash.